The Moonlight Blade Loli characters that we've been expecting for a while now are about to make its way into this beautiful MMORPG, with a trailer released to show the new look of this teenage girl. 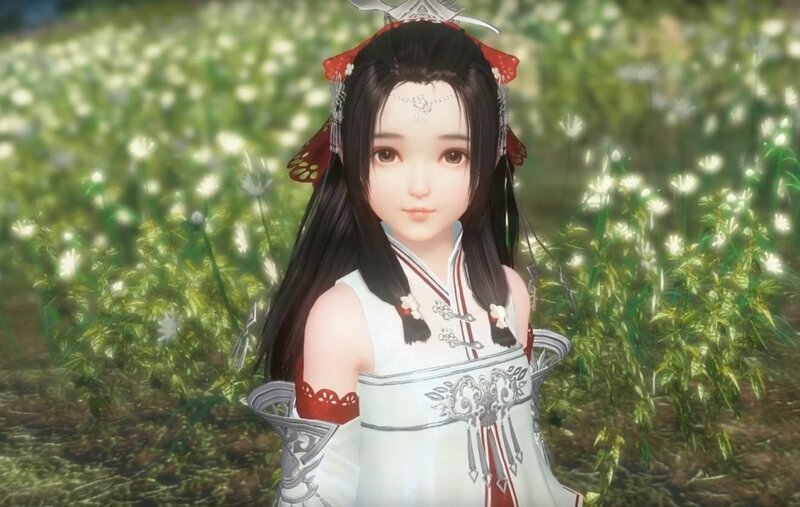 For once, we have to respect developer Tencent and the way they treated the characters, as the video shows what could easily pass for a realistic young girl, instead of the usual deformed lolis that we get in many other MMO games such as Blade & Soul or TERA. It's also worth mentioning the cute and cheerful spirit of this trailer, with a couple playing and having fun with their young daughter. The video ends with the girl playing around with a girl friend and throwing kisses in a forest scenery that is just jaw-dropping, and that is frequently seen in Moonlight Blade footage. The Moonlight Blade Loli – or teenage girl, to put it more correctly – should be released sometime next week, and it's funny to see that the China model differs quite a bit from the Korean model. In fact, it was the Korean publisher Nexon that requested the creation of a loli class. See the images below and you'll easily come to the conclusion that the Chinese teen is way more realistic than the Korean teen, who has this weird, somewhat creepy baby face. But hey, let us know in the comments which model looks better to you, the video is right below the images (thanks Steparu). 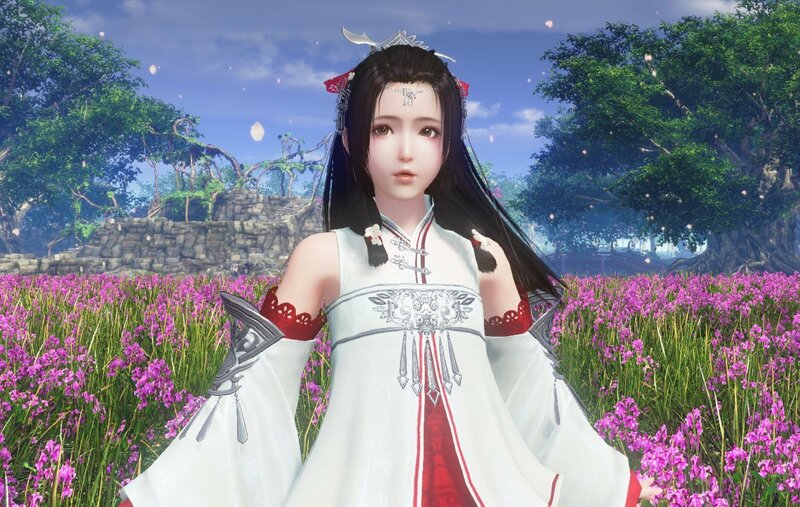 Moonlight Blade is coming to North America and Europe but we are still waiting for a proper announcement, as the reveal – while official – was made in the middle of a content update video for the Chinese version. Tencent is going to be at the Los Angeles Convention Center for E3 2017, so hopefully they will tell us more about their Moonlight Blade plans.